IDF has been operating for over 10 years in the Fire Fighting Design Services providing customized, flexible and cost-effective design solutions through the principles of Fire Safety Engineering always ensuring a high level of global security. The engineering design model is to transform the concepts and regulatory requirements into ideas, solutions, designs according to technological performance-based applications. Innovation, development, low cost, flexibility, future. Checking effectiveness of active fire suppression and fire extinguishing systems. IDF by means of specific and validated software using data from tests with full-scale fires is able to simulate the movements of flames, heat, smoke and toxic gases in complex buildings, always obtaining reliable results. Useful in the prediction of fires, in the design of fume control systems and in and computational fluid dynamics (CFD), it is a branch of fluid mechanics that uses numerical methods and algorithms to solve and analyse problems involving fires. Fire safety and the building's performance level, depending on the structural complexity and that of the architectural design, is determined through a performance-based engineering approach. The fire development and the building's structural behaviour must be compatible and meet all of the primary objectives of fire prevention. The different stages of calculations require the use of specific models and calculation codes of fire development (analytical models, zone models, CFD models and FDS models) and finite element models for structural analysis (SAFIR, ANSYS). 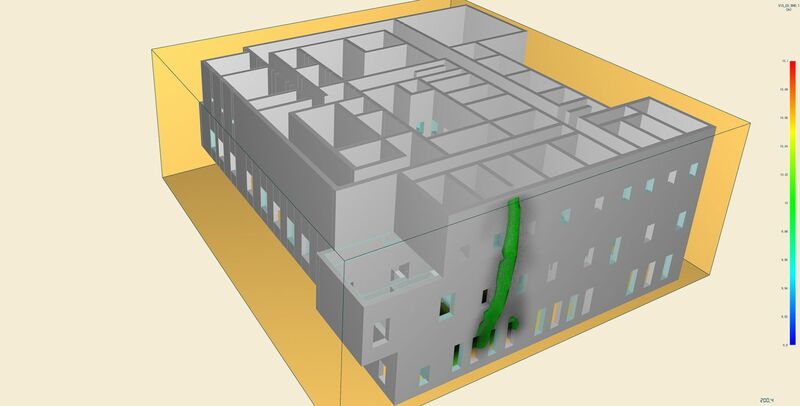 A good tool for the study of the escape flows of people in complex buildings. 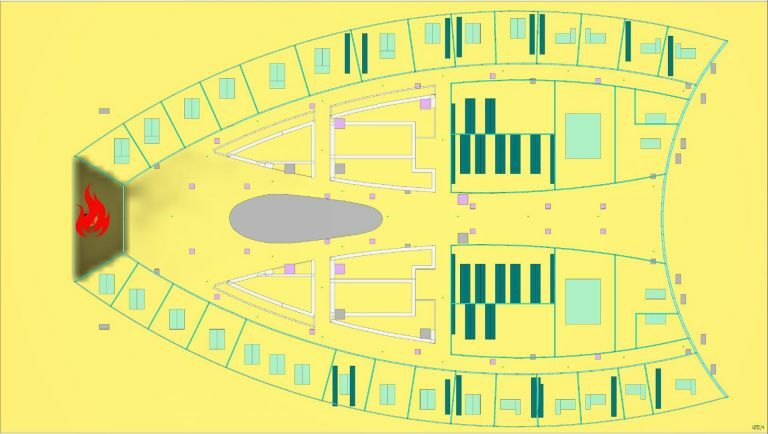 IDF uses dedicated software for evacuation modelling, aimed at evaluating the escape time and efficient business layout. Using sophisticated mathematical algorithms it is possible to translate social and behavioural aspects on individuals into evacuation models. It is commonly used by IDF in department stores, very high buildings, shopping centres, cinemas and historic buildings of considerable complexity. In line with the implementation of the Fire Safety Management, FSM, we verify, regarding the operation of all functional and operational specifications, systems analysis and escape flows. 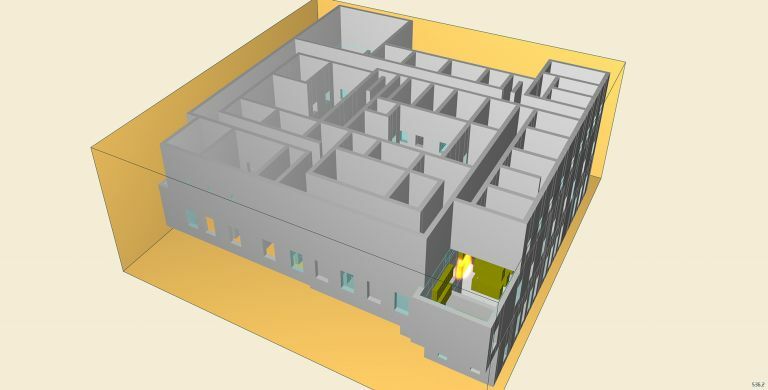 The thermal and structural analysis of buildings, in addition to being a prescriptive study, can be used by means of a performance-based modelling to rationalize the passive protection systems while reducing costs. Based on their experience our engineers seek the most appropriate solution for each structural and architectural form, balancing the cost of this assessment and the savings that can be carried out. Cost savings on fire protection of structures. 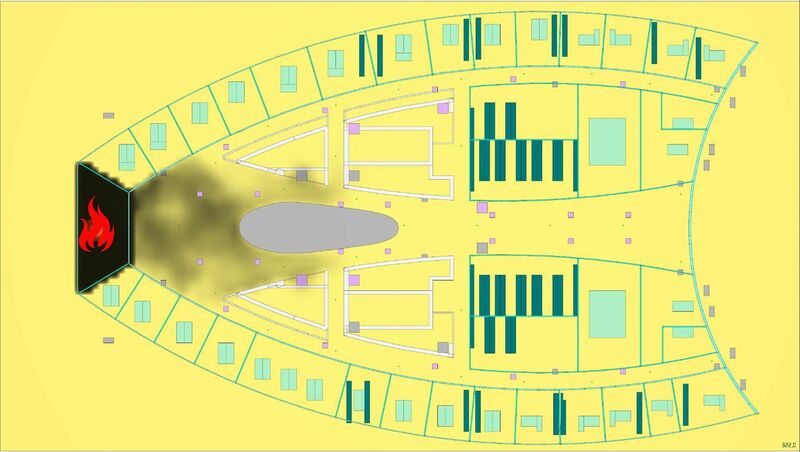 The simulation-based analysis methods for the evaluation of fire safety systems are commonly used by IDF technicians to guarantee the safety of modern infrastructure such as large buildings, highway and railway tunnels. 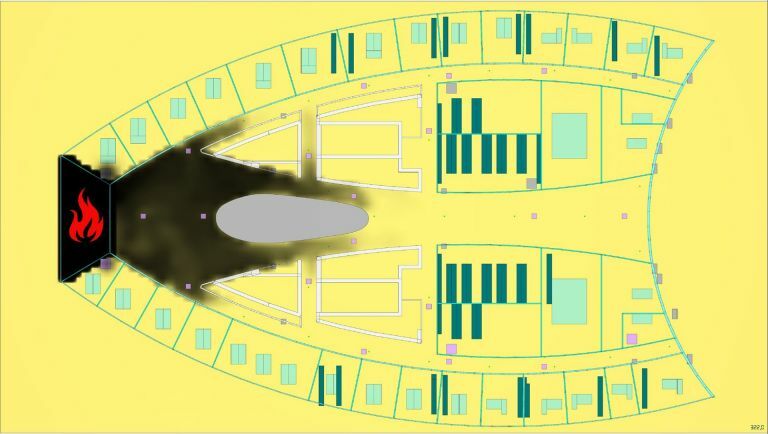 In collaboration with the industry operating in the sector, we develop the simulation methods and use them to support applications such as systems provided with sprinklers or other extinguishing agents, smoke and heat control systems, fire alarm systems. 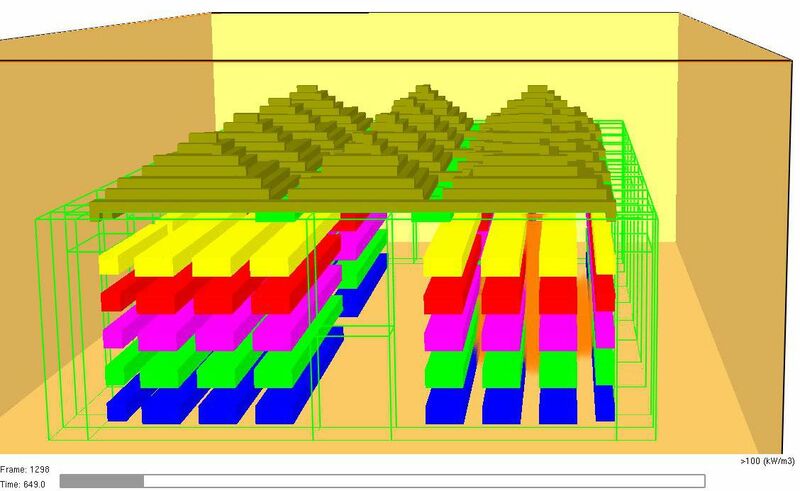 Through the use of finite element software our engineers perform analyses of heat transfer within the structures exposed to fire in order to determine the temperature distribution inside the structural elements. The analyses are carried out both in the steady state and transient state manner depending on the fire exposure time and the thermophysical properties of materials varying with the temperature, according to nominal and natural fire curves. 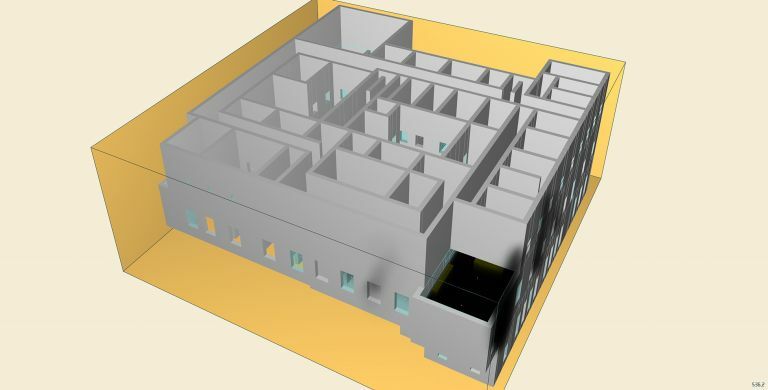 The heat transfer models, once prepared, are a useful tool for determining the effects of fire on the structural elements to be protected and assessing the adequacy of a passive safety system.